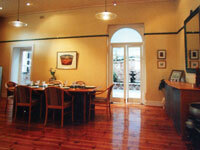 Budgerigar Design provides interior design advice and guidance to anyone building or renovating. All too often new home builders and renovators end up paying far more than they budgeted for and have to accept less than they imagined for their dream home. Don’t leave it to chance! 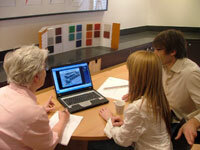 Budgerigar Design has the professional experience, knowledge and skills to help you to ‘Get it right the first time! Usually 1 to 2 meetings with you is all that is necessary. The principle behind Budgerigar Design’s service is that you get to make your own choices and decisions – it is your home after all! Budgerigar Design provides you with professional guidance, advice and support and offers access to a network of quality suppliers and contacts. Budgerigar Design will give you confidence to achieve your building or renovating goals! Budgerigar Design can provide you with a critical and independent analysis of your building & renovating plans – this means that any major design issues can be highlighted upfront and your needs & requirements actually catered for…before it ends up costing you more in time, money & stress! Budgerigar Design undertakes cost comparisons of your selections and finishes to help you get that little bit extra or a uniquely different finish from the standard project home. Budgerigar Design assists you to determine your future home’s overall design theme and highlight those aspects where you have the most choice – this can save you time and money and help you focus on the important things! Review your basic colour and material selections and advise on how to complement these with other building components to get more into your contract and avoid any costly ‘upgrade’ costs! Budgerigar Design provides a blend of creative and cost effective solutions to balance your renovating project within your budget and not just with your heart! Budgerigar Design provides you with a professional and independent service that is affordable. You are investing a great deal of money into your home – make sure all the decisions you make don’t end up costing you more in the long run! Can you afford to invest in professional design advice and support? YES! Because Budgerigar Design’s service can save you time, money and stress and compared to your overall costs, its cheep!….cheep!….cheep! Ring to discuss the costs of a suitable package to suit your budget.